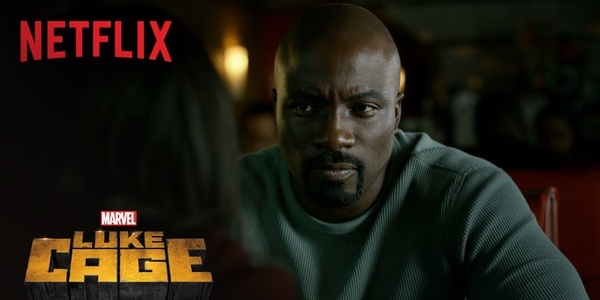 The Hollywood Reporter announced the good news that Luke Cage, the TV series based on the famous Marvel Comics superhero, which dropped its first season on Netflix September 30, 2016, will have a second season. Luke Cage is the third Marvel Comics series to be offered by the streaming service, the other two being Daredevil and Jessica Jones. A fourth Marvel series, Iron Fist, is in development. The characters from the four series will join forces in a limited series called Defenders. Marvel Comics is famous for having superheroes who are complex and have human problems, and Luke Cage is no exception. He is an African-American who was sent to prison for a crime he didn’t commit. His particular super powers are super strength and bulletproof skin. These characteristics enable him to do battle against criminals and corrupt authority figures alike. Cage is not the sort of superhero who has to do battle with god-like villains to save the universe. That job has been left for other superheroes such as The Avengers. His opponents are more likely to be drug dealer and cops who are on the take. The TV series, like the comics, deals with modern issues of urban America, including poverty, crime, drug addiction, and a broken government system that victimizes the weak and powerless. Luke Cage, as befits a man with unique power, is called upon to defend people who lack it and to put other individuals who abuse their power in their place. In the process, he meets and interacts with an eclectic cast of characters in the urban environment that is his home. It is a world that many comic book readers are unfamiliar with, but is a very real place in modern, 21st century America. The miniseries “The Defenders” is currently filming. The second season of “Luke Cage” will likely be available sometime late in 2017.